Today is an AWESOME milestone show. 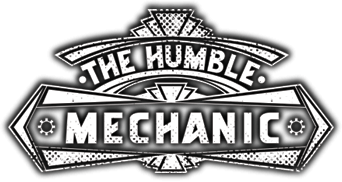 Episode 50 if the Humble Mechanic Podcast. Today I wanted to share the story with you guys about why I even started this show. It has been an amazingly cool ride along the way. I have all of you to thank for that. If it was not for all of your support, this show would not be what it is. This community would not be what it is. In short, you guys are freaking awesome! Trouble viewing? Watch “Why I Started The Show ~ Podcast Episode 50” on YouTube. As always I love to hear your thoughts. Please post them in the comments section below. If you have an idea for a show you can email me, or use the contact me form! Again, thank each and every one of you for all the support!